FEATURING fine dining and luxury facilities, this is the luxury hotel where hundreds of people accused of corruption spent weeks at a time. However, Saudi Arabia's Ritz-Carlton could also hold a deep, dark secret with reports at least one detainee died while in custody. 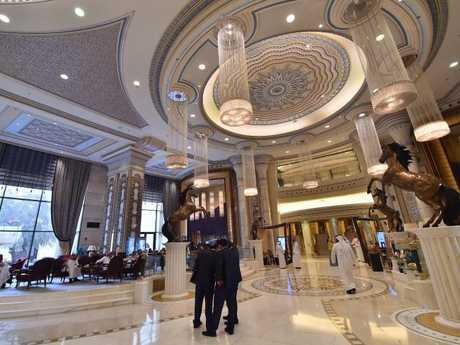 When Crown Prince Mohammed bin Salman ordered the crackdown last November, the luxury hotel made global headlines after it emerged hundreds of officials, rich businessman and members of the royal family were being detained there. The hotel is now in the spotlight once again after reports emerged that high-profile detainees were subjected to coercion and physical abuse. 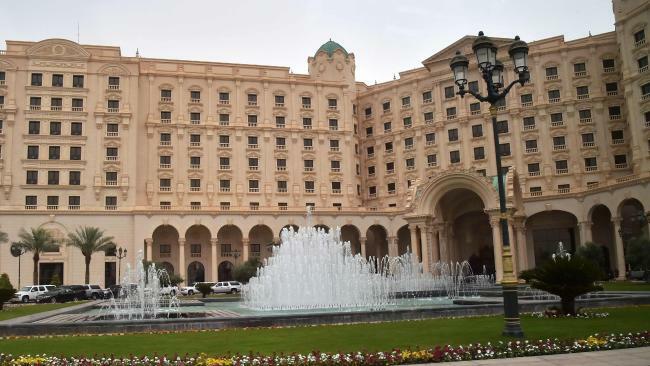 A damning New York Times report has revealed prominent Saudis held in the Riyadh hotel have also been left fearful and uncertain even after their release. According to the New York Times, at least 17 detainees were hospitalised after facing abuse, while a Saudi general later died in custody with what witnesses said appeared to be a broken neck and a badly bruised body. Many of the 381 suspects, including princes, ministers and tycoons, remain under military surveillance and some have been forced to wear ankle bracelets that track their movements. The revelations came ahead of a high-profile visit to the United States by Crown Prince Mohammed, who orchestrated the crackdown in what many people saw as a consolidation of power. Saudi officials did not immediately respond to AFP's request for comment, but the New York Times quoted the government rejecting the abuse claims as "completely untrue". Officials have said they are in the process of recovering $125 billion seized in the crackdown, in the form of property, securities and cash, handed over by the suspects in exchange for their freedom. The detainees included billionaire Prince Al-Waleed bin Talal, former National Guard chief Prince Miteb bin Abdullah, construction magnate Bakr bin Laden and media mogul Waleed al-Ibrahim of the regional MBC cable network. 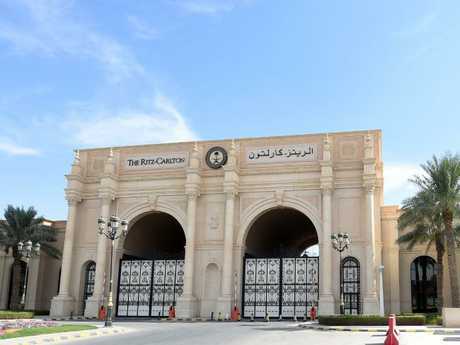 Some of those held at Riyadh's luxury Ritz-Carlton hotel were deprived of sleep, roughed up, interrogated with their heads covered and pressured to hand over large assets, the report said, citing relatives and associates of detainees. Major General Ali al-Qahtani, a top aide to a son of the late King Abdullah, was among those held. He later died in custody, his corpse bearing signs of torture, according to witnesses quoted by the newspaper. United States President Donald Trump and former president Barack Obama both stayed there when they visited Riyadh. The hotel features huge "royal suites" with views of the city, garden, fountains, an ornate lobby, deluxe restaurants, a glittering pool and day spa. The hotel finally reopened to the public in February following weeks of use as a prison. Critics have labelled Prince Mohammed's campaign a shakedown and power grab, but authorities insist the purge targeted endemic corruption as the country prepares for a post-oil era. The government on Sunday said Saudi King Salman had ordered the creation of specialised anti-corruption units in the public prosecutor's office to investigate and prosecute graft cases. Officials have not made public the charges against suspects detained at the Ritz-Carlton. Prince Mohammed is set to visit the US next week for the first time since becoming heir to the throne last June. The tour is aimed partly at courting foreign investors.